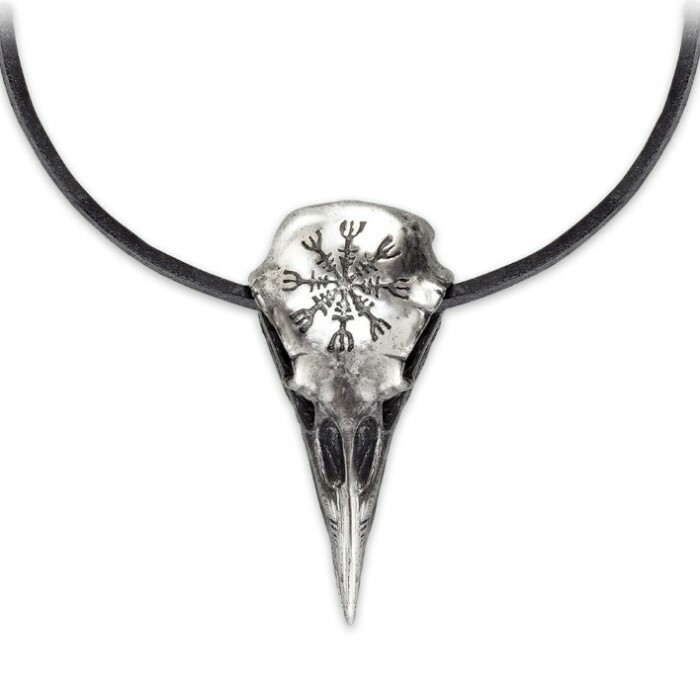 Helm Of Awe Raven Skull English Pewter Necklace | BUDK.com - Knives & Swords At The Lowest Prices! 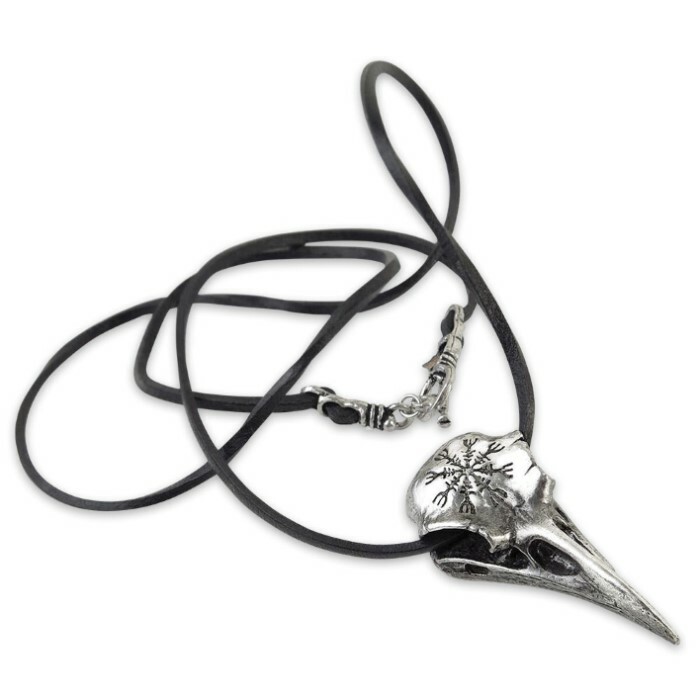 Prepared to be awed by the protective power of the Helm of Awe Raven Skull Necklace! 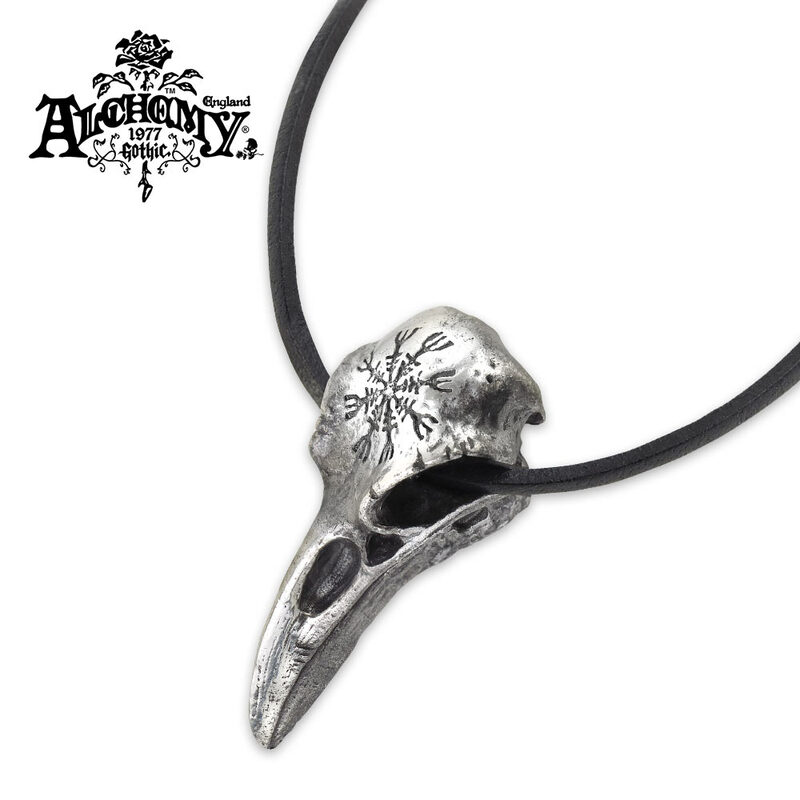 Engraved upon the raven’s skull is a powerful rune. This ancient Icelandic stave symbol serves the purpose of blocking or evading attacks from all directions, both the obvious and the concealed and physical or psychic. The pendant is crafted of fine English pewter with an antique finish and detailed engraving. It hangs from a 30” adjustable, black square leather cord. The pendant is 1 1/5” x 2 1/2”.